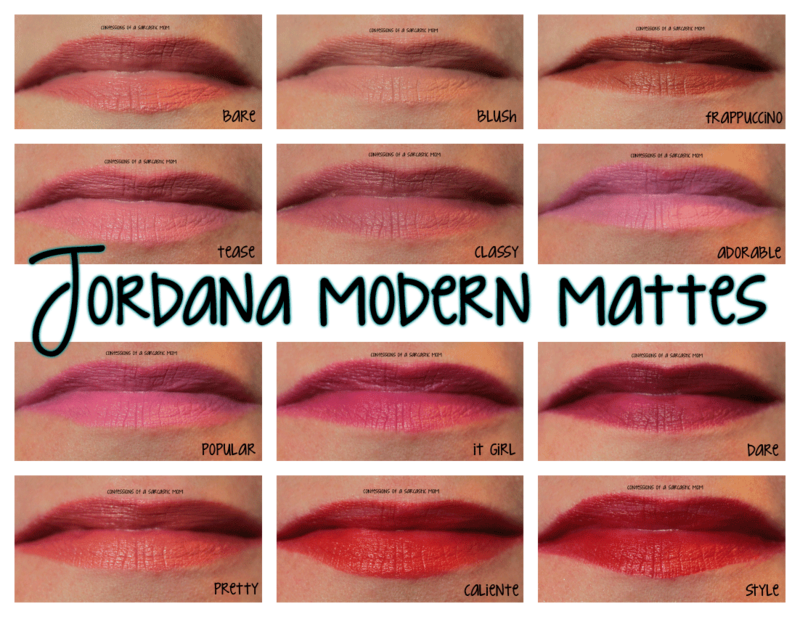 I have found my new favorite lipsticks - the Modern Matte line from Jordana! These are not the traditional flat matte-esque finish. It's actually closer to a vinyl finish, if you ask me, but that could be the "modern" part of the matte! Check out details after the cut! As I mentioned, the finish on these isn't so much matte, but more a vinyl. They are more flat than shiny, however. They are so easy to apply and went on smoothly. 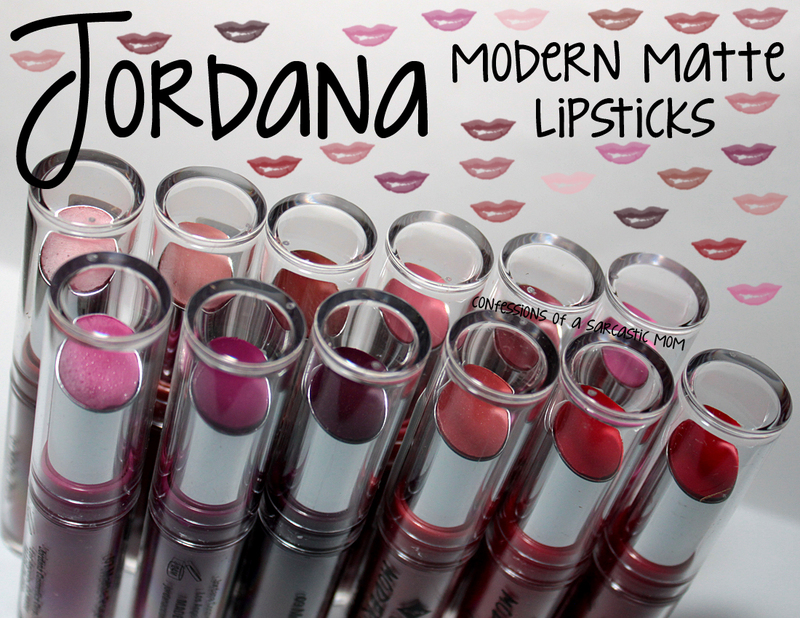 In all honestly, these lipsticks went on the smoothest of any lipsticks I've tried to date. I'm usually not good with getting the lipstick in the perfect position on my lips haha (what a confession, right?) It's no secret, looking back on my previous posts - I still feel like a beginner :) These lipsticks, tho. They melted onto my lips easily. At a price point of $2.49, these lipsticks are more than worth their money. I highly recommend them! I also hope that if you do buy them, that you have the same experience that I have with them. You can buy them wherever Jordana is sold or on their website.